In the fishing town of Coffs Harbour on the east coast of Australia there is a marine park called Dolphin Marine Magic. In the marine park there is a small pool, and in that pool is Bucky. Although he is in remission from cancer and one of the oldest dolphins in captivity, Bucky performs two shows a day, 365 days a year. He tail walks across the water on demand and performs flips and elaborate tricks in return for frozen fish. Members of the public line up to brush his teeth, pat his belly, and 'ride' Bucky around the pool. 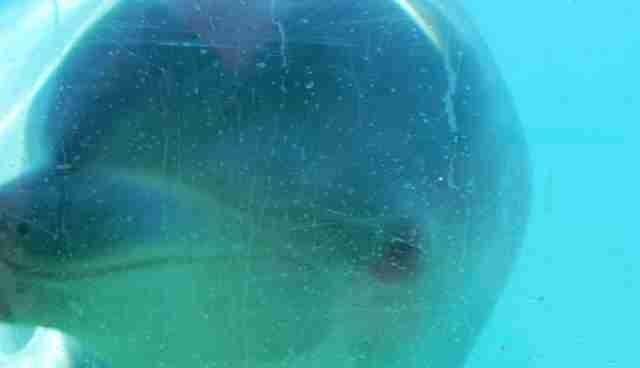 Bucky shares his crowded tank with five other dolphins, four of which he is the father. 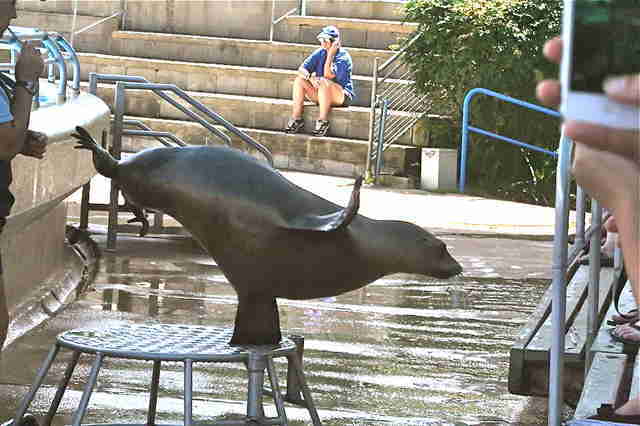 The park is also home to numerous seals, marine birds, and turtles. 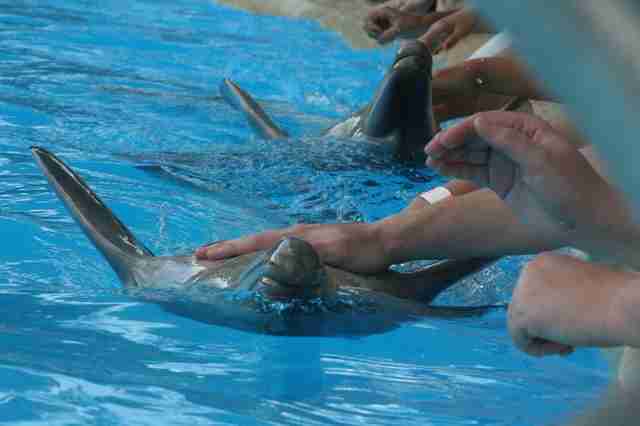 While all may appear calm on the surface, Dolphin Marine Magic has a secret: It does not meet animal welfare standards. The pools at Dolphin Marine Magic are too small, the animals are overworked, and the facilities do not meet legal requirements. While it advertises itself as a rescue and rehabilitation facility, Dolphin Marine Magic has admitted under pressure that it does not have the capacity to rehabilitate sick and injured dolphins - a legal obligation for all facilities that display dolphins in Australia. Although Dolphin Marine Magic has no room to care for injured dolphins, it still allows dolphins to breed - ensuring whole new generations are born into captivity. While two of the dolphins at the park were originally rescued from the wild, the other four have been bred into a lifetime of exploitation. They are forced to perform in demeaning shows, swim with and kiss strangers, and even give members of the public rides, in spite of the fact that dolphin exhibition standards clearly state that handling of dolphins should 'be kept to a minimum' and that there should be adequate barriers between dolphins and the public. In addition, original plans for the primary pool at Dolphin Marine Magic confirm it is considerably smaller than legally required. Dolphin Marine Magic has been granted an "exemption" by the Department of Primary Industries for its show pool (which also does not meet regulation) and is applying for another exemption for its non-compliant seal pool. Even though the park falls well short of the dolphin exhibition standards, which were developed more than 20 years ago, state government has continued to issue Dolphin Marine Magic with new licenses. In November this year the dolphin welfare and marine conservation group Australia for Dolphins uncovered these breaches. Their enquiries led to heavy media coverage, and brought the infringements into the public sphere. Responding to the resulting public and media pressure, and an online petition of more than 11,000 signatures, the Department of Primary Industries has agreed to conduct a formal investigation into Dolphin Marine Magic. While this is a positive development, recent evidence has come to light that calls the department's objectivity into question. Coffs Harbour's local member, ­Andrew Fraser, told parliament in August that the NSW Minister for Primary Industries, Katrina Hodgkinson MP, visited Dolphin Marine Magic in September 2013 with her family and went swimming with the dolphins. If the minister did indeed swim with the dolphins, it would appear she violated her own department's regulations. Not only that, but the visit took place less than a year before the minister granted the park a new licence, which included a "variation" ­on the number of dolphins allowed to be kept in one pool, in recognition of the fact that the park did not meet already outdated legislation. "The department decided to allow Dolphin Marine Magic to operate in violation of the standards at the ­expense of the animals. Now we find out the responsible minister and her family were entertained at the park, so there has to be a question as to how objective its decision was," CEO of AFD, Sarah Lucas told the media. The investigation is ongoing, however the events currently unfolding in Australia highlight the essential role of non-government organisations in holding corporations responsible for the treatment and exhibition of dolphins for entertainment purposes. It is crucial that all sub-standard aquariums and dolphinariums around the world are closely monitored, and held to account. If you believe dolphins don't deserve to be kept in sub-standard aquariums, please add you name to the ongoing petition. The more names on the list, the stronger the message, and the greater the imperative for local authorities to improve the conditions of dolphins like Bucky. To learn more, visit www.afd.org.au">Australia for Dolphins website at www.afd.org.au. The aim of Australia for Dolphins is to gain legal protection for small cetaceans (dolphins and other small whales). AFD's primary goal is to bring an end to unregulated and inhumane hunts, which kill tens of thousands of small cetaceans annually. 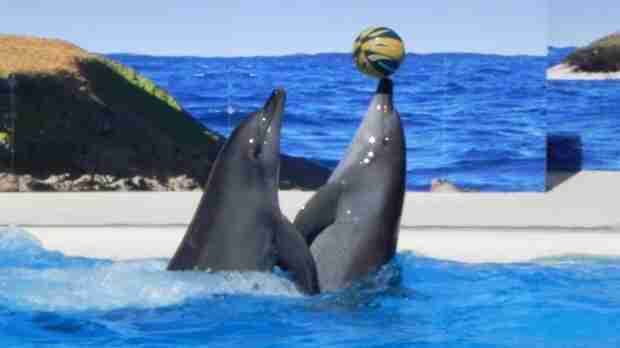 It also aims to end the cruel treatment of small cetaceans in captive facilities for commercial purposes.